Ask any married couple about their wedding day, and they'll likely tell you it felt like a blur. They'll tell you to savor each moment, because it all happens so quickly. That's why it's so important to hire a great videographer as your eyes and ears for the day. This talented team preserves each beautiful memory for you and your fiancé to look back on and relive for years to come. One such memory that many couples consider absolutely essential to capture is the First Look. This moment when the soon-to-be-newlyweds see each other in their wedding attire for the first time is special and intimate. After the hustle and bustle of preparing for the ceremony and pictures, planning a First Look allows you to take a minute to breathe, relax, and remember what's important — each other. Whether you want your First Look to be a private moment between you and your spouse-to-be, or you want your family and friends there to witness it, it's important to speak with your videographer about capturing this beautiful and often emotional meeting. 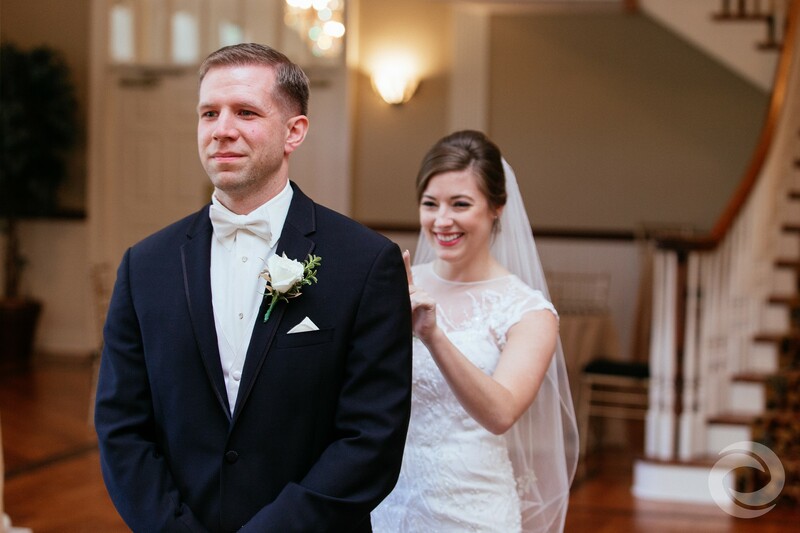 You and your new spouse will each have your own memories of that moment, but having a video means that every detail of your First Look will be documented on film. Being able to go back and watch it unfold together in real time is an experience you won't want to miss out on. Plus, you'll be able to share your video with guests via social media, so they can witness your love and relive a joyous memory from your wedding day, too.